Autism. 2014, July; 18(5): 538-44. 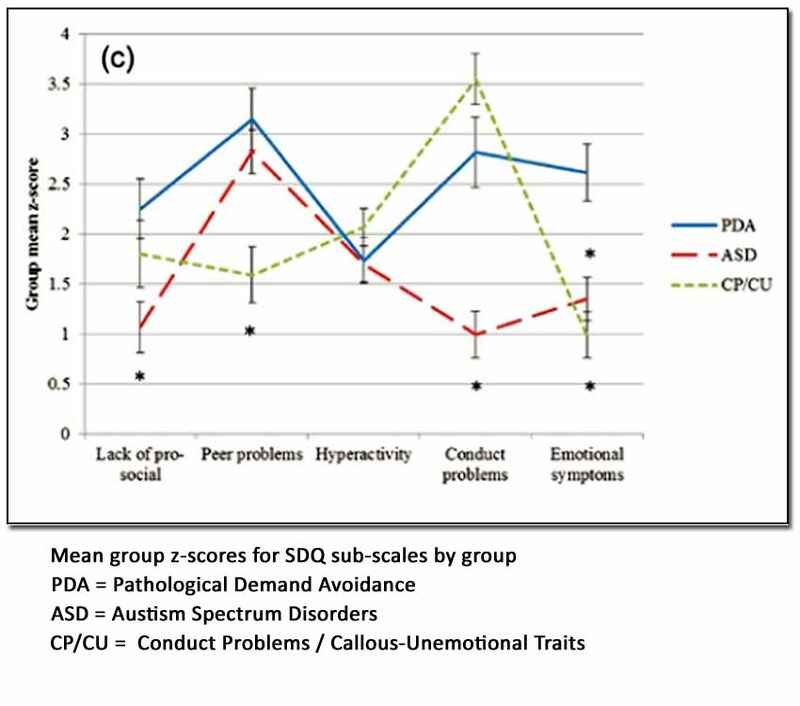 This is the first report comparing the profiles of children labelled PDA to those in other groups with behavioral overlap. For example, children with conduct problems are strongly motivated by rewards; for PDA, however, rewards are ineffective, possibly because they are perceived as a form of control. Another interesting point is that while children with ASD are mostly male, those with PDA seem to have a balanced gender distribution. A third example of a major difference is that children with PDA have a preoccupation with role play and fantasy, while such pretend play is absent or delayed in ASD. This entry was posted in 2011-2015, EDA: Extreme Demand Avoidance (also PDA), PDA: Pathological Demand Avoidance, Review, Editorial or Speech. Bookmark the permalink.